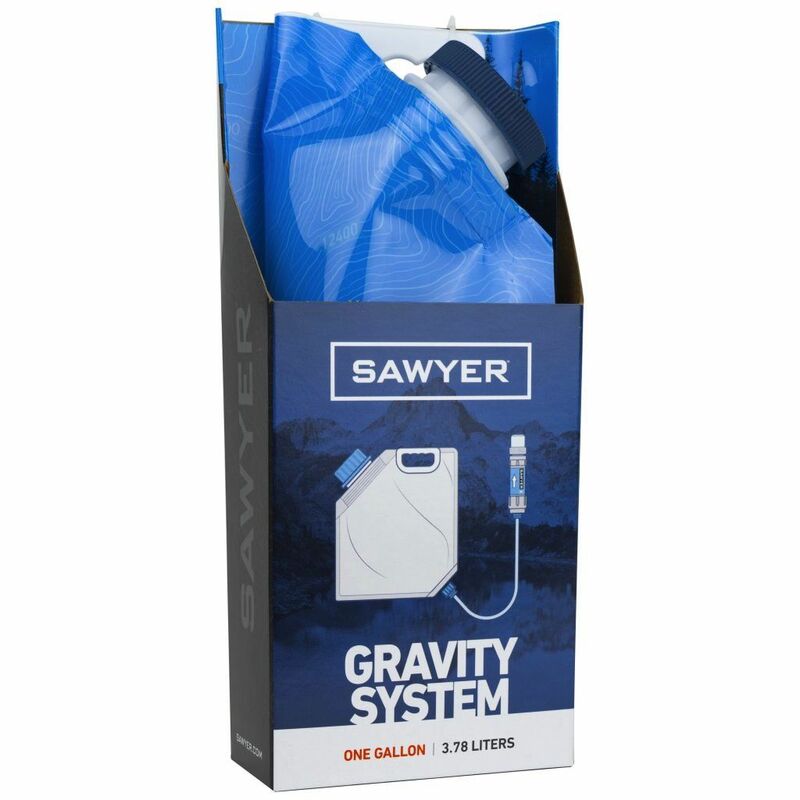 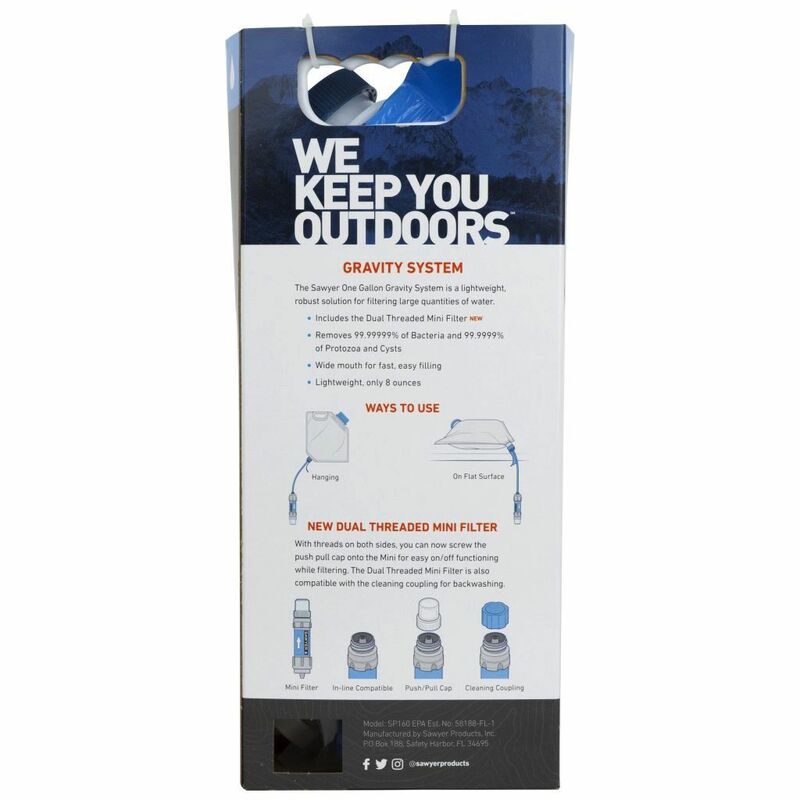 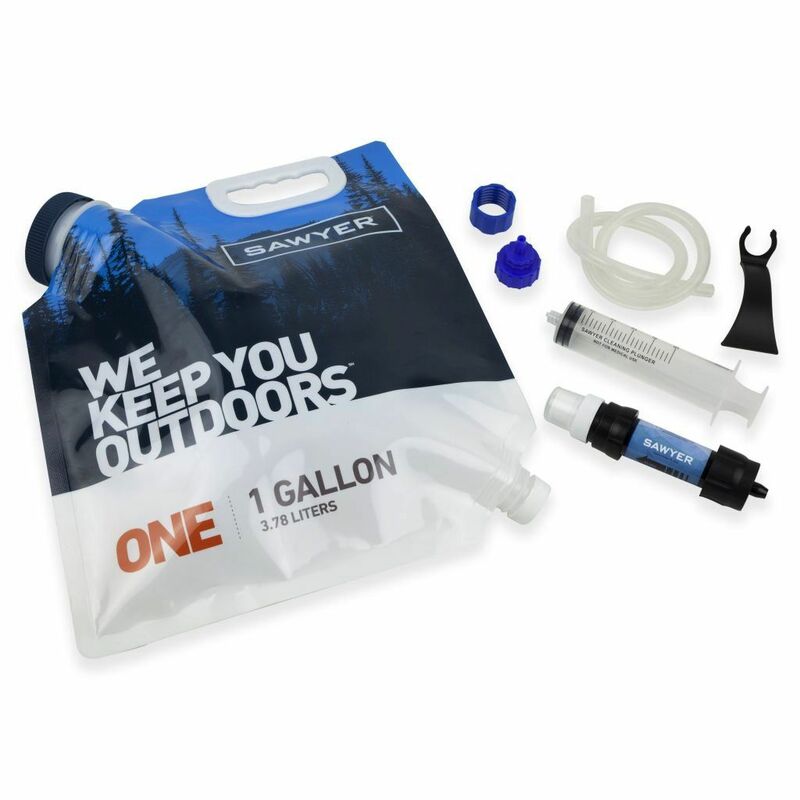 The Sawyer One Gallon Gravity System is a lightweight, robust solution for filtering large quantities of water. 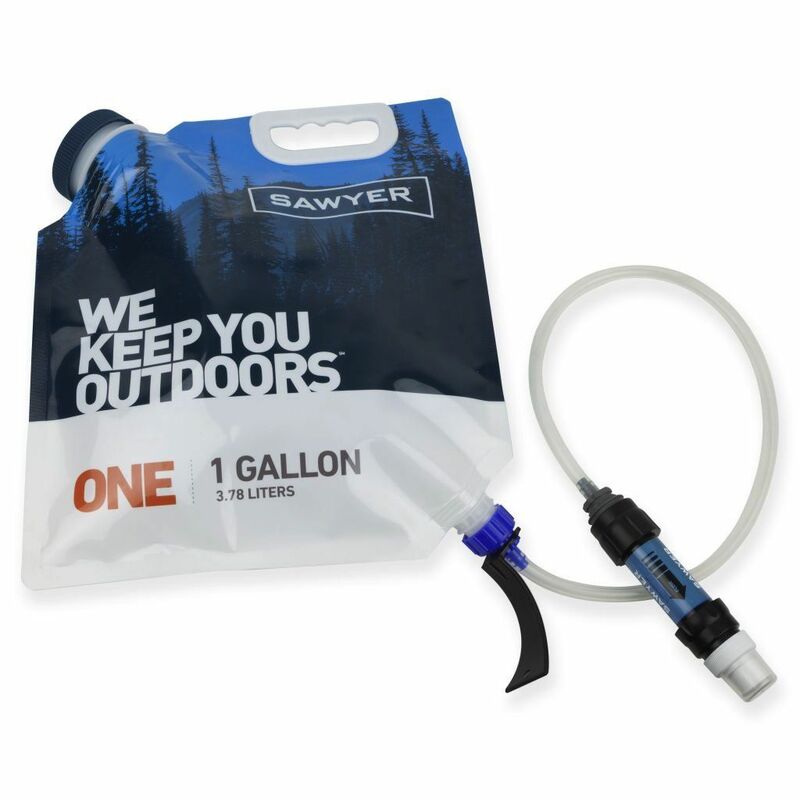 This System Includes the NEWDual Threaded MINI Filter Removes 99.99999% of Bacteria and 99.9999% of Protozoa and Cysts Has a Wide Mouth for Fast, Easy Filling Is Lightweight, Weighing 8.3 ounces with all the Included Components With threads on both sides, you can now screw the push pull cap onto the MINI for easy on/off functionality while filtering with this easy to use One Gallon Gravity System. 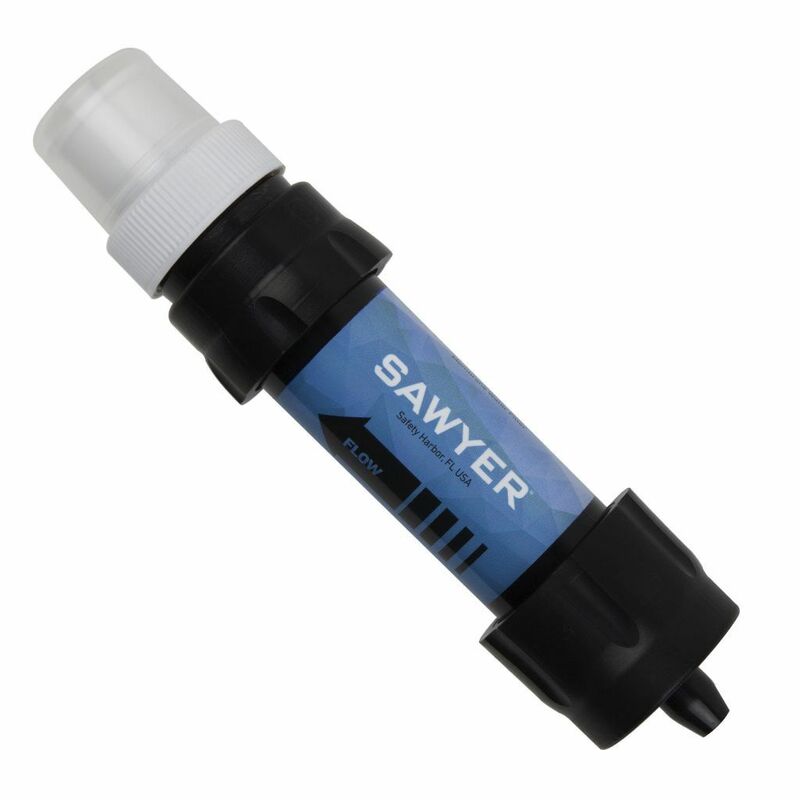 The Dual Threaded MINI Filter is also compatible with the cleaning coupling for backwashing (included in kit).